How are job seekers—particularly workers facing challenges in the labor market—assets that can drive innovation and build employers’ competitiveness? Discover best practices from more than 100 workforce development experts in the new book “Investing in America’s Workforce: Improving Outcomes for Workers and Employers.” The book is the result of a two-year collaborative effort between the Federal Reserve System, the Heldrich Center for Workforce Development at Rutgers University, the Ray Marshall Center at the University of Texas at Austin, and the W.E. Upjohn Institute for Employment Research. The book is divided into three volumes: Investing in Workers, Investing in Work, and Investing in Systems for Employment Opportunity. The Federal Reserve invited OFN to write a chapter on how CDFIs can help promote quality jobs in the book. OFN was pleased to submit a chapter based on its previously published paper, Reducing Income Inequality: How CDFIs Promote Job Quality. The chapter explains how four CDFIs—CEI, Growth Opportunities Fund, ICA Fund Good Jobs, and New Hampshire Community Loan Fund—are helping their small business clients create quality jobs and makes recommendations to further CDFI involvement in this important work. The original paper was generously supported by the Surdna Foundation. 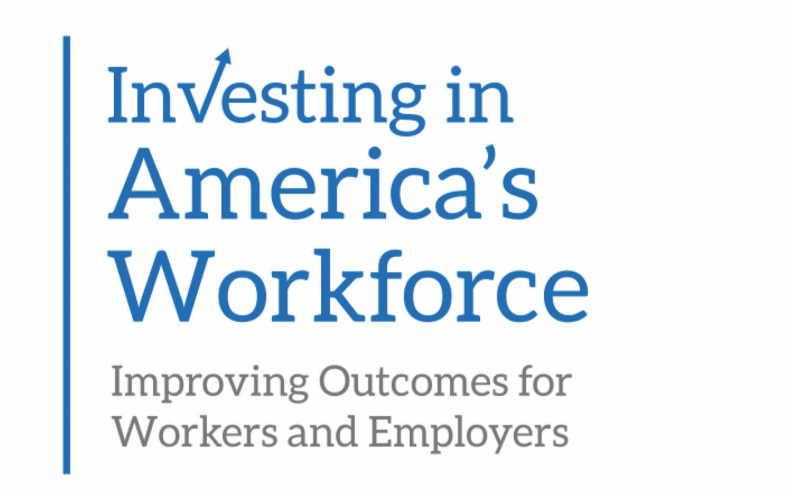 OFN will continue to participate in the Investing in America’s Workforce conversations and hopes that many CDFIs will find ways to participate as well. 1) A living wage sufficient to support a decent standard of living or, at a minimum, one that exceeds the median wage offered within the employer’s industry. 2) Basic benefits that increase economic security, improve health, and promote work-life balance among workers. These include paid leave, health insurance, and a retirement savings plan. 3) Career-building opportunities that help employees develop the skills, networks, and experiences necessary to launch a career or advance along a career path. These opportunities can include training and mentorship—both formal and informal— and avenues for advancement within the company. 4) Wealth-building opportunities that enable and incentivize employees to build the assets they need to manage financial emergencies and achieve long-term financial security for themselves and their families. 5) A fair and engaging workplace that balances the priorities and well-being of employees with the needs of the business. Examples include offering flexible and predictable schedules, treating all staff with respect and dignity, actively soliciting employees’ ideas to improve the business, and helping staff understand how their work contributes to the business’s success. Using this definition as a springboard, we assess how the four CDFIs in our study define quality jobs. They commonly draw on all or most of the components of PCV InSight’s definition (see Table 5.1). None explicitly include wealth-building opportunities, although two promote wealth building through training on open-book management, an approach that encourages profit sharing.1 Three CDFIs explicitly include a component not mentioned in the PCV InSight definition: particular characteristics of who is hired to fill a job (e.g., low-income, returning citizen, or disabled populations). One CDFI does not include employee characteristics in its definition but prioritizes jobs that are accessible to individuals who lack a four-year college degree. This range of definitions expands PCV InSight’s framework to include employee preferences and who gets hired, as well as to recognize that employees of a given business may value one or two components much more highly than others. Read the full chapter here. The full book is available here.